We are delighted to let you know that during our street collection on Saturday 19 September, the generosity of the public was incredible bringing in just over £1,500, which was well beyond expectations. Even better news was to follow when a couple came forward to match the amount raised pound for pound taking the overall total to £3,111. An amazing gesture of kindness. Ours thanks to all who helped and contributed. In particular the team of 25 collectors who so willingly gave of their time to help others, putting their faith into practice. 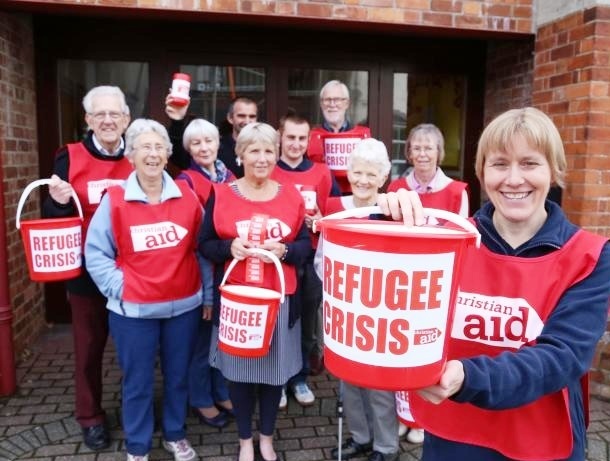 The monies will be used to assist churches in Greece, Serbia and Hungary who are attending directly to the needs of refugee families and to Christian Aid partner agencies working in and around Syria.